For the first time in a long while, I’ve got a new build that has more new additions than bug-fixes! I won’t be calling this one a “Bug-Fixing Build” – this one’s a Minor Improvement Build! As you can probably imagine, it contains a bunch of minor changes and additions that improve the quality of the game! To read a list of all the improvements in this build, scroll down past this stylish artwork by aCocoPeach! Yandere-chan can now sit down at the benches near the fountains outside of school. This has no gameplay application whatsoever, and is purely for fun / immersion. If people enjoy it, then I’ll allow her to be able to sit down at other benches, as well. Students will no longer perform a “taking notes” animation in class, if class is not yet in session. From now on, if a student arrives to class early, they will mess around on their phone while waiting for class to begin. Likewise, teachers will no longer perform a “giving lecture” animation in class, if class is not yet in session; they will perform a “reviewing notes” animation while waiting for class to begin. Teachers will no longer stand directly on top of a corpse when inspecting it / calling the police / guarding it. Teachers will now stand 1 meter away from corpses when performing these actions. Items will now disappear out of a student’s hands when they witness murder (it looked super awkward when they continued holding an item while reacting to murder). Fixed bug that prevented Yandere-chan from being able to pick up masks in the Drama Club, after joining the club and then returning on a subsequent day. Fixed bug that would cause the blood-cleaning robot to float in midair when Yandere-chan dropped it, if it didn’t detect any blood in the school. Students will now react to Yandere-chan carrying a dismembered limb in her arms (but do not yet react to dismembered limbs lying on the ground). Fixed bug that was preventing Yandere-chan from dropping items that she was holding in her hands before using a computer in the computer lab. Fixed bug that would prevent the Study Point screen from having a white background if Yandere-chan was late to class. 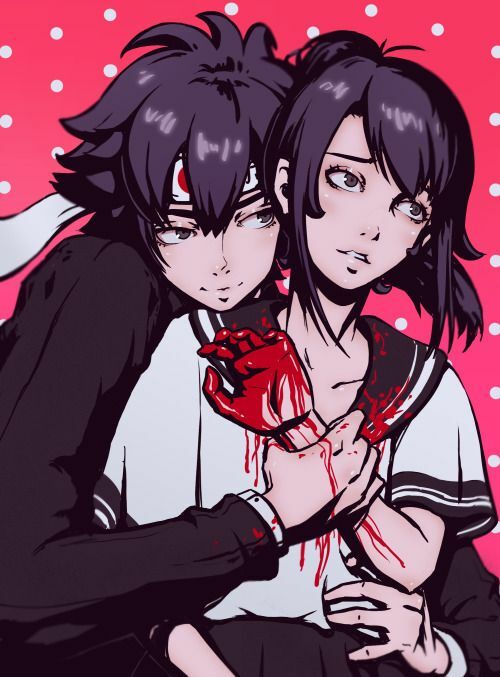 Fixed bug that would cause the game to soft-lock if Yandere-chan picked up a corpse after picking up a heavy weight. Fixed bug that was causing students to run in place for a few moments after classes ended. Teachers now have improved animations for inspecting corpses and guarding corpses. Changed Yandere-chan’s crouch idle, crouch walk, and crouch run animations. Updated the walking animation that Yandere-chan uses in her room. This is unrelated to the game itself, but I still think it’s worth mentioning: I updated Yandere-chan’s profile on the official website. I love the ability to sit on the school’s benches! I always thought it was weird that NPCs could sit and I couldn’t. Now I can creepily watch my beloved senpai from a sitting position! Also I do like that teachers no longer stick their knee through dead bodies. Lol. Nice update! Just please let us sit on all benchs now! And the correct benche ? You have to go to the benches ne-ar the matchmaking trees . Not the Plaza ones. Yay, I love sitting on benches! Can’t wait to eat bento while sitting on those comfy, comfy benches. Okay, sitting on benches. Thats okay. Updated walking in yan chan room- nice! How can I sit on benches ? Yay good job yan-dev now i can stalk my senpai from the seats…..
Small things that caught my eye in Yan-chans introduction…? “Then, Ayano saw something horrible…something ” – up. [4th paragraph] Also, I’d say that this “…” is unnecesary anyway. Good writer is able to make us feel emotions like fear or excitement without having to use “…” or cursive letters etc. I’d say that “;” or “-” would be better. These are only suggestions, something that caught my eye when reading this introduction. I do not mean to offend the person who wrote this introduction, I just thought to give my feedback. Also, sorry for any mistakes in my text; although I feel rather strong in English, it’s still not my native language. And, yes, I know it probably is rude for a non-English speaker to comment on English text… but I quess at least I tried? Yay! I can’t wait to play around on the new build! Honestly I love minor things like being able to sit on benches, and I can’t wait to see all the other things you said you added and fixed. Would love to sit on all benches. It’s very cool! And if that’s possible to have randomized students sit on them too occasionaly. While the rest is having their morning conversation. It would make the school more alive. And it would be harder to obtain all students opinions. Because now you can just stand in the middle and get all at once. It’s kinda too easy and cheaty. Sitting on benches would be something “cool” to do, if you were stalking someone and didn’t want to look awkward while just standing there were others will see you. Could blending in be an option to look unsuspicious while stalking someone? It is something interesting and cool to do. Hey! Yanderedev how can I make one of my drawings come out in your next post? Someone comment this on one of Jay’s videos. I wanna see him do it. Has anyone else had a problem where the camera keeps spinning around with out their consent? Is this the build or am I doing something wrong? That would never happen, Ayano loves one person. My brother and I came up with an idea, and I’m just shouting it out for fun. Sometime later in the game, if you join the drama club, why not have it so that when you carry a limb while being part of the drama club, students and teachers won’t freak out but view it as suspicious (not really doing anything like tattling to a teacher or apprehending Yandere-chan)? Like, they see it as a super realistic prop. I can see how this idea may or may not work, but then again it’s just an idea.